As online grocery shopping continues to steadily grow and become commonplace in Americans everyday lives, so too will online alcohol sales, according to a recent report from Rabobank and cited by Supermarket News. Rabobank analysts reported that U.S. online alcohol sales hit $1.7 billion last year. In comparison to the total size of the market that is still relatively small, but the growth of online channels is now outpacing that of brick and mortar retailers. Off-premise alcohol sales posted a CAGR of 1.44 percent over the past 4 years, according to IRI date, while winery sales quadrupled in the same time period. Looking at the overall market, in 2013 there were zero on-demand delivery apps to last year on-demand delivery apps processing more than $100 million in annual sales, according to Rabobank. 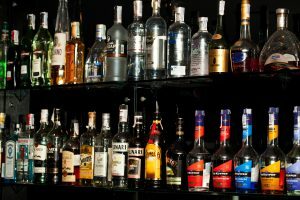 The trend is expected to not only continue, but grow considerably, with alcohol sold online expected to be worth $7 to $15 billion EACH year within the next 5 years.